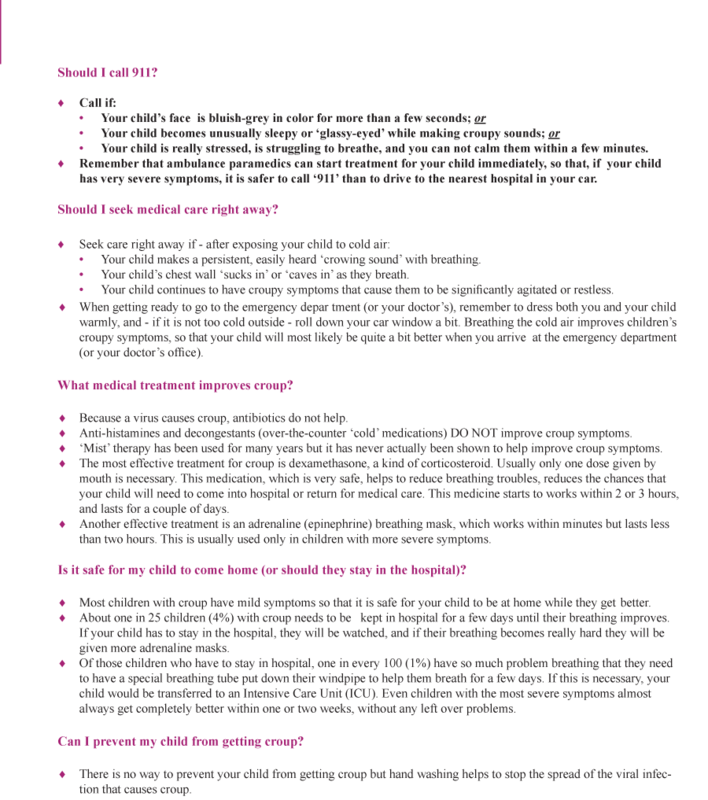 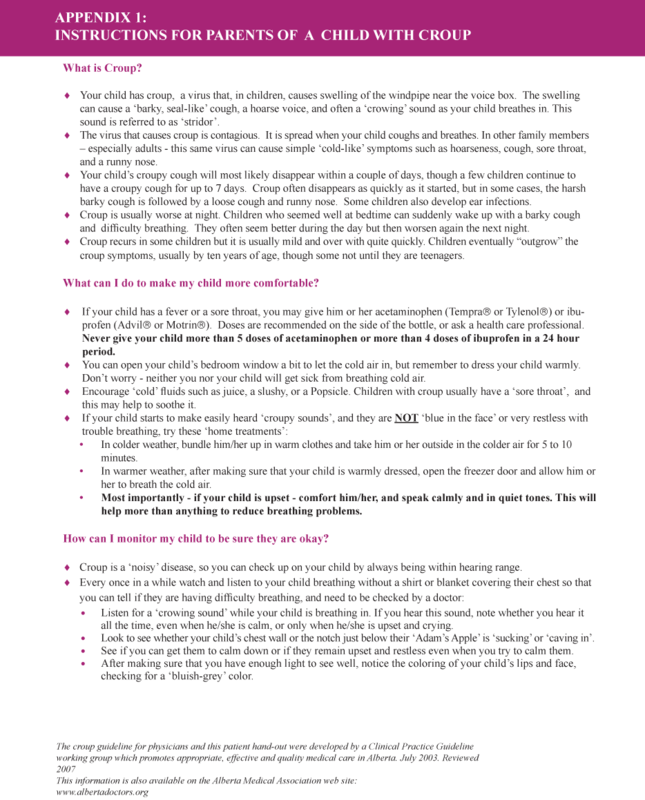 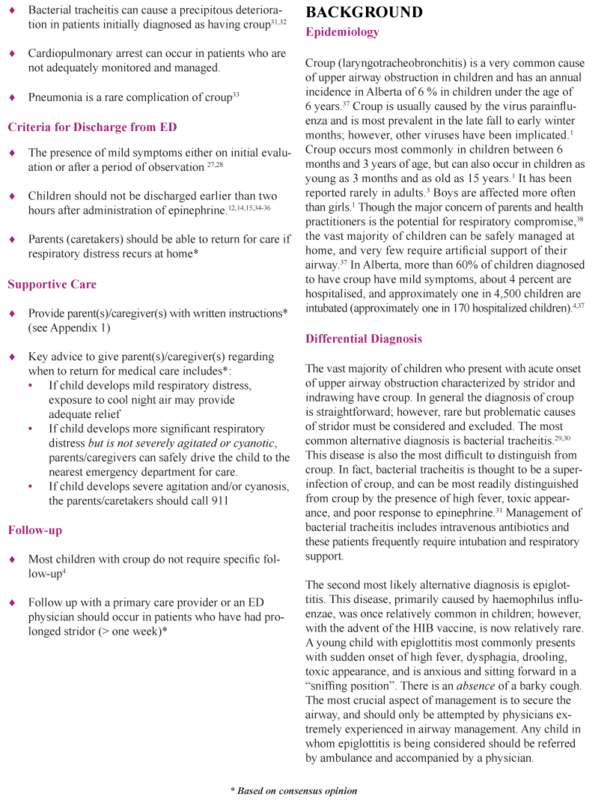 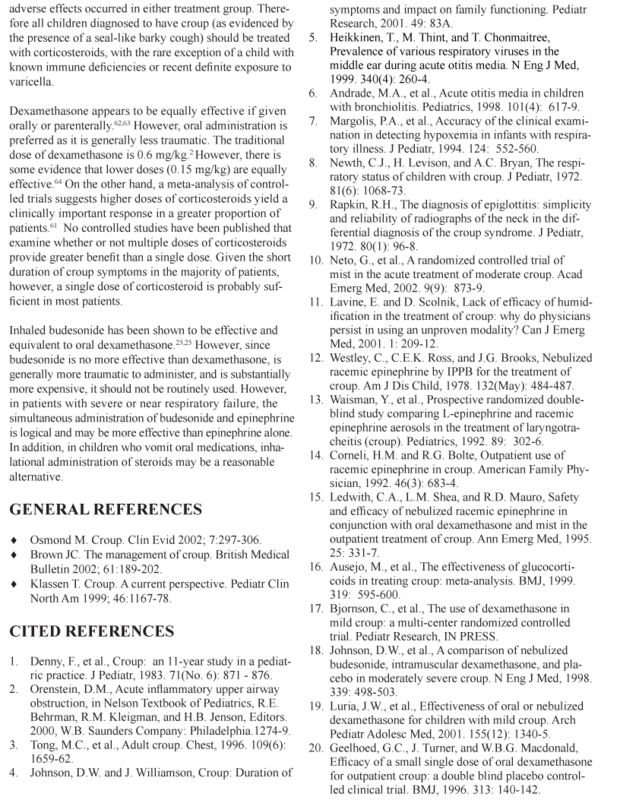 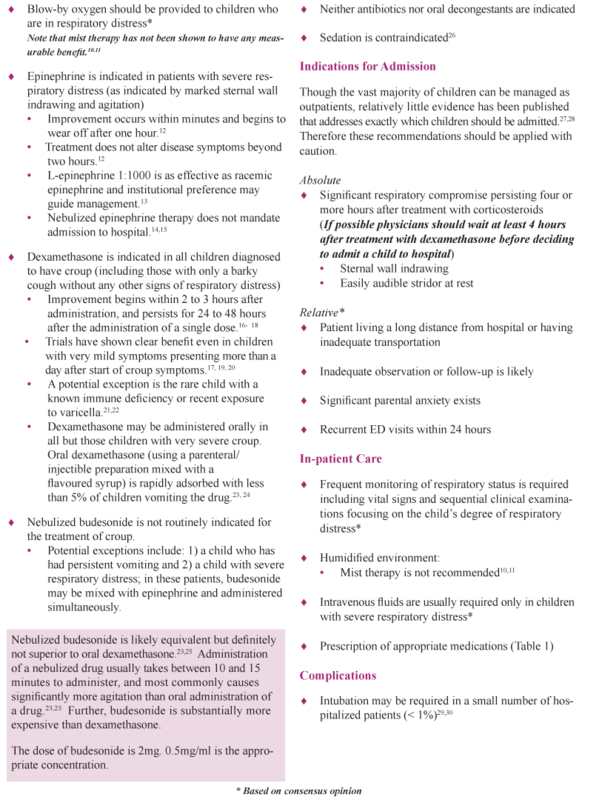 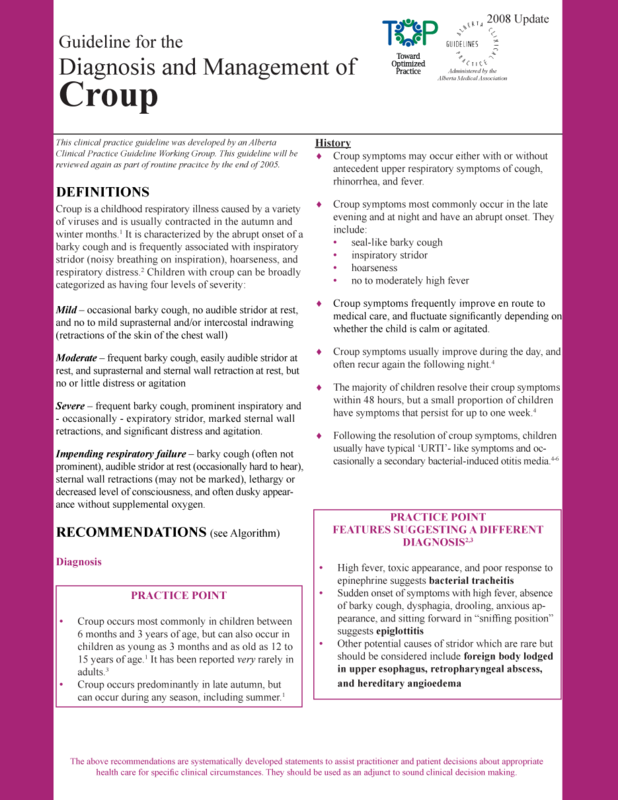 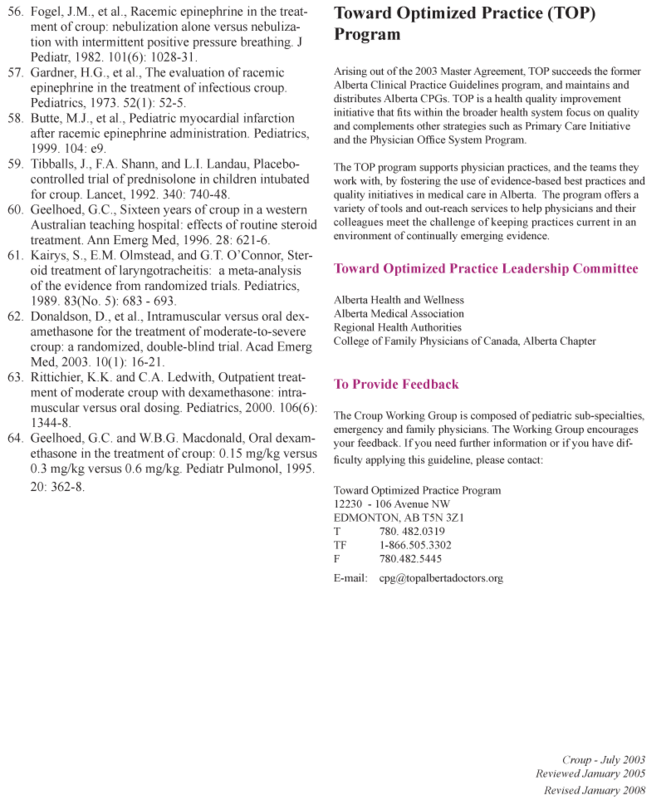 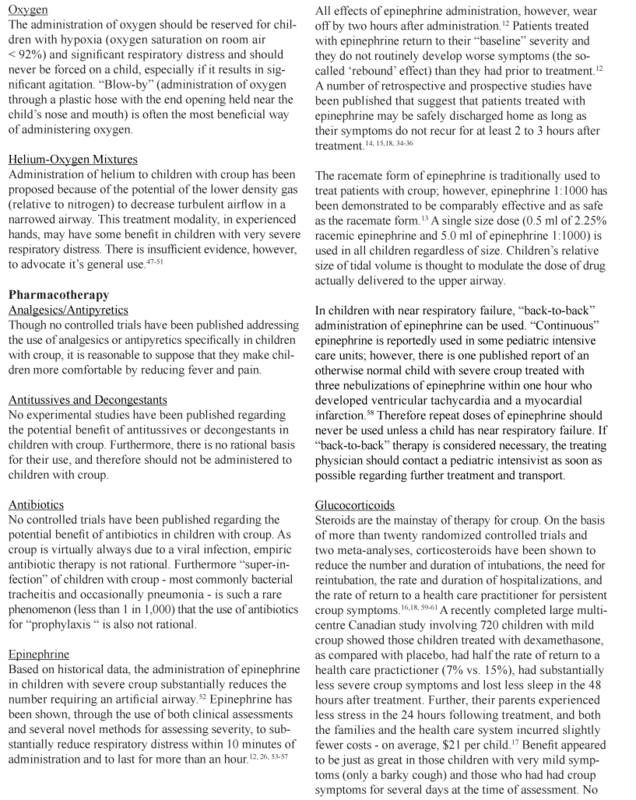 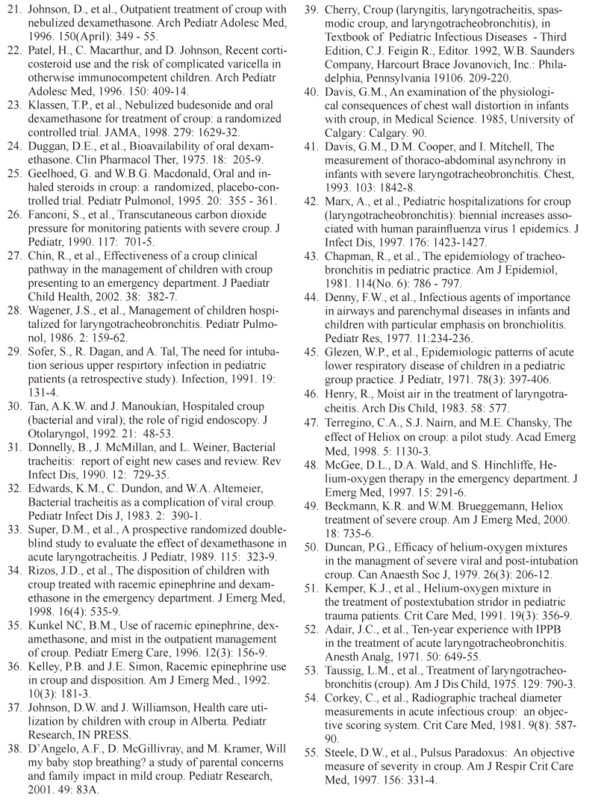 Usual dose of dexamethasone for Croup: 0.6 mg/kg PO or IM. 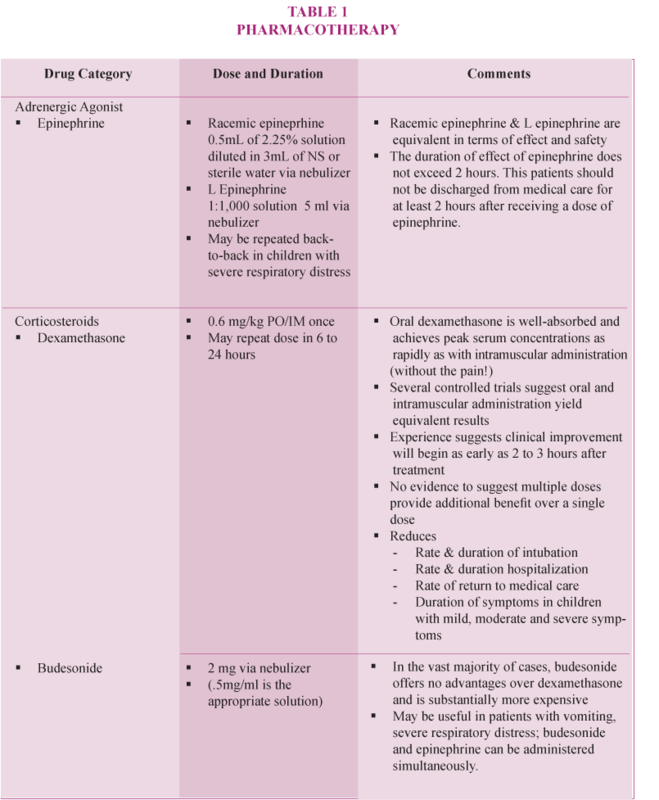 Usual maximum dose: 16 mg. May repeat in 6 to 24 hours. 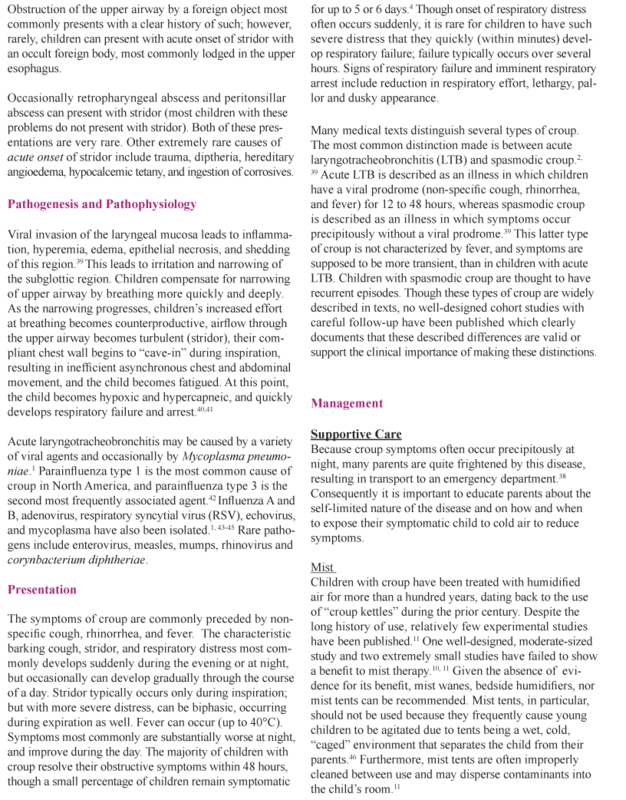 etiology: parainfluenza virus (1&3), influenza virus, adenovirus, RSV, mycoplasma pneumonia. 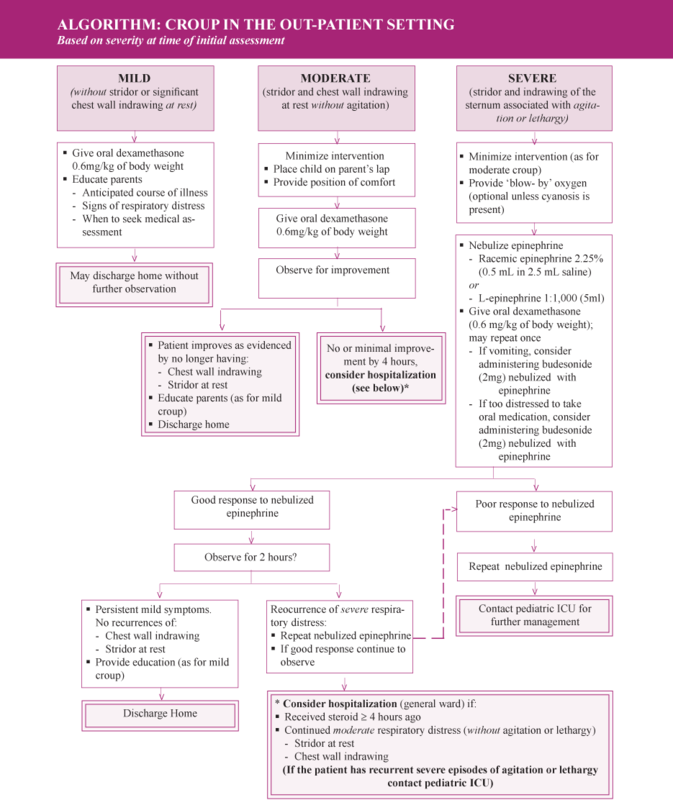 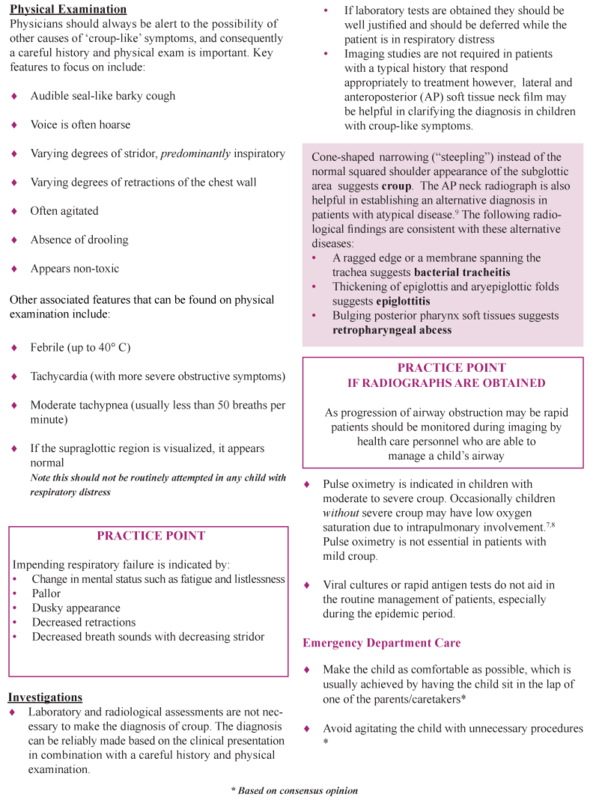 Scroll down to treatment algorithm/flow-chart.